On average it’s estimated that if you’re planning a wedding this year, you can expect to spend approximately 250 hours bringing this most special and important day to fruition. How much time will YOU spend finding the perfect wedding band? 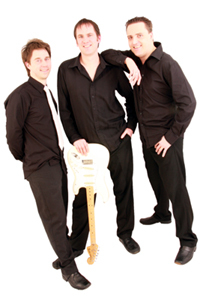 HARD TO HANDLE band are one of the busiest wedding bands working in the UK today. Try following our five top tips for finding the perfect wedding band! Take a good look at the type of band you may be interested in booking. It’s best to prepare questions to ask in advance. Are you sure that the eight piece band you have found will be suitable for the wedding reception venue you have booked? Do they play UK wide or are they based in one particular area? Will they provide you with a contract to safeguard your rights? Not all bands are suitable to perform at wedding receptions. The band you see playing at your local bar may sound great, but will they be able to perform the type of music suitable for a wedding reception? Bar and pub bands play loud music often in one genre. That might be great for a little while, but bands that specialise in playing wedding receptions know that the key to success is a broad repertoire, from classic hits to modern music. 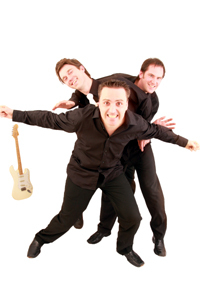 The venue you hire for your wedding reception will probably have certain requirements of the band you book. Many venues have installed sound limiters designed govern how loud a band can play. This means that if a band plays over a certain level of sound, electrical power will be cut. The result? No music! Ask the band you are interested in booking if they have experience working with sound limiters. As with all the services you book for your wedding reception, you need to be sure that you are getting the best value for money. When you ask a band for their price, ask them if this is their final quote. Some bands will attempt to add extras fees to their quote at a later date – fees for accommodation, food, even hire of equipment. You wouldn’t entrust the repair of your car to a part time mechanic, or a call plumber who has a day job working in an office, so why consider booking a band that only perform part time? Many function bands only play once or twice per month as a hobby and work in “normal” weekday jobs. Do you really want to risk booking a band whose members may be stuck in rush hour traffic after finishing work on the day of your wedding reception? Hard To Handle band are a highly versatile function band and have performed at literally hundreds of wedding receptions UK wide. With a wide ranging repertoire and top class musicians, the band is one of the most sought after acts performing in the UK today!